Daniel helped us turn the worst house on the block into one of the higher value homes in the neighborhood. Because the house was 108 years old and under local historical zoning restrictions, we had to keep the facade of the small bungalow. Daniel redesigned the interior and added on the back with a two story addition to create a very livable, open floor plan. He really listed to my ideas, and used his expertise to design rooms that worked. I was so pleased with his work that I used him on my next project, and would highly recommend him to others. First and foremost, Sarah and I absolutely love our house. Building our custom home was an amazing experience for us. Daniel Boardman really listens to his clients. Daniel is also very detail oriented which helps with design and construction. He spends a good amount of time studying the land and the views the property provides to ensure that the views are well framed and incorporated into each room. He pays very close attention to the flow of the home and how the furniture layout will coordinate with the open design and the connection to the outside. We have had many house guests since we moved in and they have all expressed their amazement at the simple beauty of Daniel’s design. Even more important is the less tangible and hard to articulate sense of peace that our house conveys. We could not be more pleased with our home and the work preformed by this company! 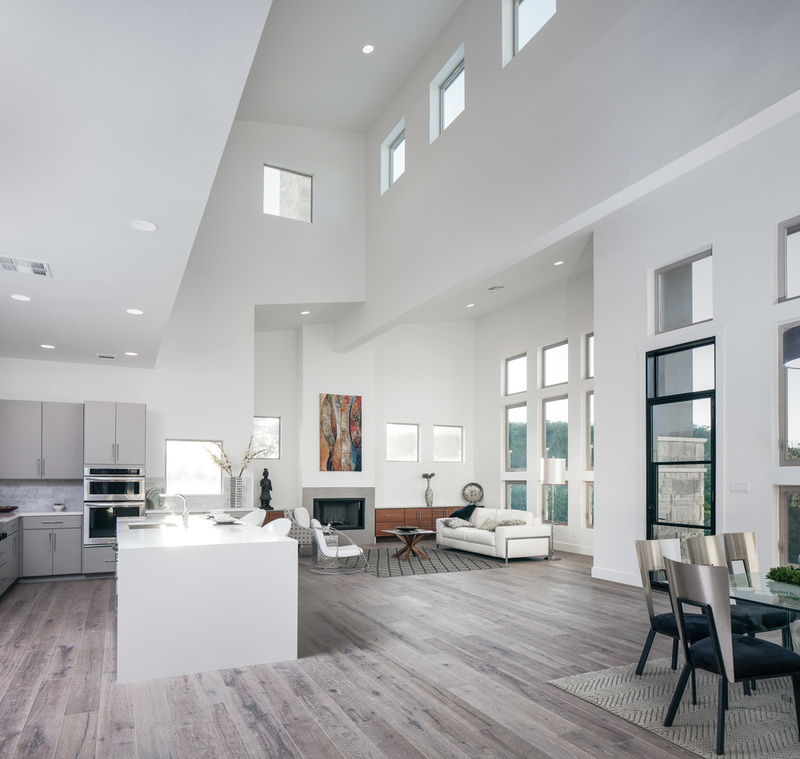 Daniel Boardman did an amazing job designing our custom home! He listened to us and helped us filter through our vast array of design ideas to develop a home with style and detail that perfectly fits our lot. He offers a high level of service at a very affordable price that was well below other architecture firms that we looked into. He thoroughly educated us on green building, the building science of home construction, and current building techniques that saved us tons on our monthly energy bills. When we finished the design, he helped us find a trustworthy & qualified green builder to bring his highly detailed house plans to reality. We felt very comfortable working with him because he intelligently addressed every concern we had from design to permitting, and even the construction. The process of building a custom home can be a daunting, but he worked with us closely and made each step enjoyable. We felt very much at ease through the entire process, this guy really knows what he is doing! Daniel was easy to work with. He allowed us to make changes and worked with us to make sure that we got what we wanted. He had previously worked with our builder which enabled them to work together during the design phase to help control costs for the overall project. Daniel did a great job with the design of our elevations an really helped us navigate the intricacies of building a custom home from the ground up. His process for determining the size and scope of your project during the initial meetings really helped us understand what was realistic and what was not. I felt like he was very in tune with construction side of things as well, even though that is not his primary focus. He understands what you can and cannot do from an engineering standpoint and what structural items will devour a budget and what will not. All in all, I would recommend Dan and would look to use him again on our next project. My wife and I had never built our own house. We both had different ideas about what we would like in our “forever home” along with some similar features, as well, and we had no idea how to bring all of our various ideas together. Our first meeting with Daniel was at our property. We walked around the area, and within a few minutes he already had several ideas to discuss. We talked about the important features we wanted to incorporate both inside and outside our home-to-be. When our first meeting was over, we both felt that Daniel would be a great architect to work with. Because we live out of town, we communicated with one another over the phone and via email. When significant design decisions needed to be made, we would then get together in person over lunch. Daniel had a design process, and outlined all the steps we would work through. He was very open to our suggestions and when there was something that didn’t fit the design, he didn’t hesitate to explain the shortcomings. The result was a fantastic design that was much more than we had ever dreamed. We had a tight budget to work with, and Daniel delivered not only in the overall design, but also in making the most out of every dollar. Once the designs were completed, Daniel helped us locate a suitable builder. He took time to weed out builders who would not be a good fit or who would be too expensive for us. Once we settled on a builder, Daniel stayed in touch with us as to the progress of the home and communicated with the builder regarding any questions that would arise throughout the build process. All of his building plans were thorough and very accurate for both the builder and tradesmen. The final result was absolutely fantastic! As the build process developed, the contractors and even the delivery guys all commented on what a great, unique house this was. Daniel was truly an awesome find for us! With his vast experience and professional work ethic, he is undoubtedly an extremely talented architect, and we are more than happy to offer this recommendation on his behalf. Recently my husband and I moved into my father's 1962 Allandale home to care for him and my father-in-law. A remodel was necessary to create more rooms, improve arrangements, and update appliances and systems for efficiency. 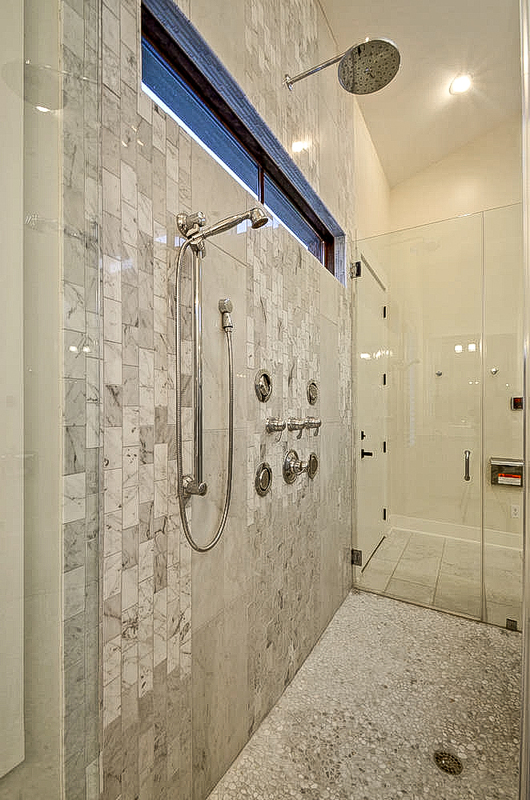 My past experiences with several architects from previous home and business remodels were marginally satisfactory, and reason to start with Daniel Boardman a job to design an existing master bathroom. Daniel's ideas and space arrangement were excellent. When the contractor completed the project, my husband and I were very pleased with the results. We knew we wanted Daniel to continue with us for a major remodel of our home. Daniel was easy to talk to, listened to our desires, and came up with great ideas in design and space. Also he was sensitive to the neighborhood atmosphere, knowledgeable of city codes, and encouraged green design and materials. The general contractor agreed the blueprints were well designed with exact measurements. The general contractor and Daniel worked very well together. The design of the front of the house and the new kitchen were beyond our expectations, not to mention the new bedroom and bathroom, new garage work area, and living area. The high grade Daniel is getting is not just to be nice but simply he earned it and I have no complaints about Daniel's work because the results were outstanding. At each stage of the process, from design through construction, Daniel Boardman was creative, efficient, and diligent in both his own work and in reviewing the work of contractors. I would highly recommend his service especially for projects where the intersection of sustainable design and City of Austin code requirements must be carefully handled. Daniel was extremely prompt and paid incredible attention to the details that we wanted in our new home! The finished drawings are great and we are about to start construction! I have been in the construction industry for over 30 years and have worked with countless architects.......Daniel ranks up at the top of the list. I have worked with quite a few Architects over the years and Daniel Boardman was extremely accommodating. He is concerned with your ideas and wants not his ideas about what you should do. He stayed within budget, made fantastic recommendations for designs, and was available for all kinds of questions about resources & materials. He is punctual, professional, and was a pleasure to deal with throughout the design and construction process. Even when completed, he is the type to always be available for questions and to help you work through resolutions, whatever the issue might be. I would strongly recommend him and his firm to anyone looking for architectural design or construction services. This was my second time employing Daniel and I have recommended him to many of my friends. My builder, who has worked with many Architects, said he was the easiest Architect he has ever worked with and has done a few jobs with him since. If you are looking for someone to work with you and for you, Daniel is the guy! We couldn’t be happier with the finished product! A home addition is a daunting task and there are a lot of unknowns but Daniel seemed to have answers to all of our questions, he made us feel very comfortable through the entire designing, permitting, and building process. He did a very good job of listening to us, being responsive, communicating, and helping is to visualize our home addition. He was even able to do some 3-D models of our home and kitchen. We were very impressed with how well he was able to help use pull our ideas together and bring our project to life. We also look at our home as an investment, especially living in Austin where the market is so hot, Daniel emphasized this from the beginning. He helped us focus on making the right decisions that would give us the most bang for our buck and return if we ever decided to resale. Altogether we spent $100,000 on our remodeling project, but my realtor told us she could sell the home today for $200,000 more than she would have before our addition. We love our home and our friends constantly complement us on the flow and design. Thank you Daniel!